Hello! Fair warning- you will not find Grease on my list of recommendations. Welcome to the 1950s! While girls and boys were sipping on shakes in the malt shop the rest of the world was fighting in the Korean War, racing to space, and whispering behind closed doors about communism and capitalism. I only have one book to recommend but it’s one of my favorites. 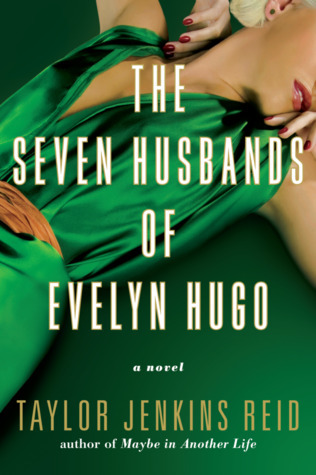 It’s the only TJR book I’ve read: The Seven Husbands of Evelyn Hugo (Taylor Jenkins Reid) is so entertaining and engrossing. It spans a few decades, but it starts in the 50s. This book has star power, small twists, romance & friendship, and lovable yet flawed characters. I really loved it. (1953) I didn’t see it until I was in my 20s, but Roman Holiday is cute and fun and it includes Audrey Hepburn & Gregory Peck. When Peck was hired his contract gave him solo star billing. Halfway through filming he suggested newcomer Audrey be billed equally. (That didn’t happen in the 50s in Hollywood.) I really love both of these actors and their work outside their films. (1954) If you’re new around here you might not know that I LOVE Clue. It’s one of my all-time favorite films. It’s silly and eerie and mysterious and star-studded. I don’t have an exact year for this film’s settings, but many of the flashbacks in Big Fish are set in the 50s. I watched this movie a long time ago, but I need a refresher. I read that it’s based on a book and that the book/the plot is based on the Odyssey and 12 Labors of Hercules. (1959) Again, it’s been way too long since I’ve seen it, but obviously Dead Poets Society makes the list. It’s a sad movie (especially now after Williams’ passing) but the message is good. (1959) Another film I waited until my 20s to see, Chocolat is seriously so sweet (pun intended) and beautiful. It’s about the way we have faith and lose faith in other people, though in the end there is always something to connect us- even if it’s simply a love of chocolate. I’ve only watched a few episodes of The Marvelous Mrs. Maisel but I loved them! I love the constant dynamic between upper class and lower class, male and female, Jewish and not Jewish. The show is very progressive for 1958 and that’s 100% the point. 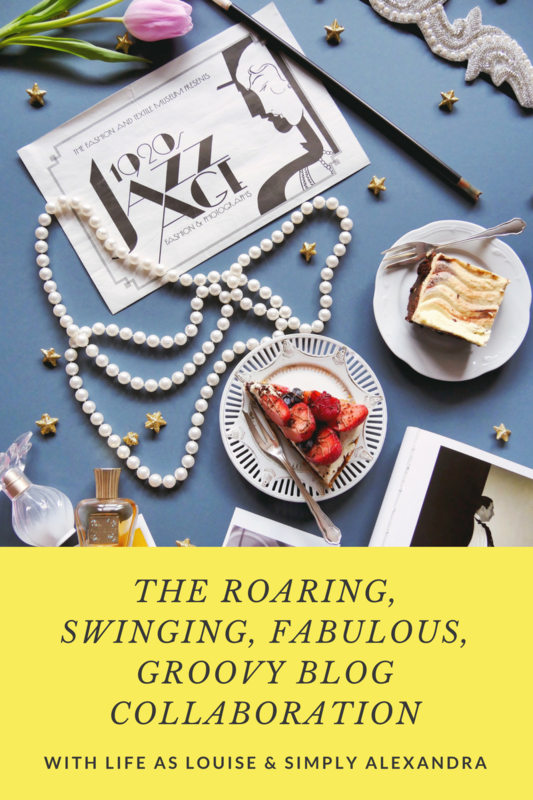 Now be sure to hope over to Alexandra’s blog and check out her 1950s recommendations, too! The 1960s was a time of revolution and political unrest. From the rise of the Vietnam war to the death of President John F. Kennedy to the birth or hippies, the 60s were quite the time to be alive! Join us next month for our entertainment recommendations from the era! I love these posts! It’s been a really long time since I’ve seen Chocolat, but I remember enjoying it. I LOVE the movie Clue. Such a goodie! I’m curious about The Bletchley Circle too. I’ve never seen Roman Holiday but I want too and I love that story about Peck; he’s such a good guy. Thanks, Lauren! It’s been fun putting them together 🙂 Chocolat is such a cute, feel-good movie. Roman Holiday is, too! You should watch it soon! I loved the movie Chocolat. Beyond it being just a great movie, I wanted to devour all the chocolate (seriously a hot chocolate has never looked so amazing) and Johnny Depp was at his hottest and least annoying. O Captain, O Captain. It always made me cry and now after Robin Williams passing – it’s almost painful to watch. I didn’t know you were a huge Clue fan; I love it too! And Evelyn Hugo was amazing. I loved that book so freaking much. Johnny Depp does look pretty darn delicious in Chocolat. It’s such a cute and cozy movie (and empowering!). I haven’t watched Dead Poets Society since Williams’ passing but I think I’d be an all out mess. Especially with the theme of the movie and the plot. I LOVE CLUE. It’s one of my absolute favorite movies! I haven’t seen ANY of your movies! Shame on me! I am so behind on classic movies. Girl!!! 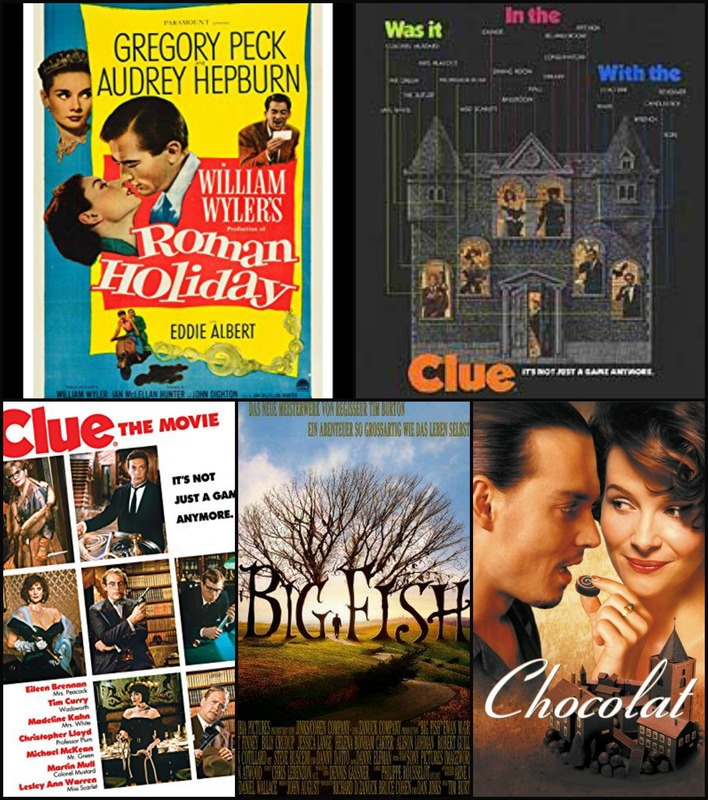 Start with Clue and Roman Holiday, then move on to Chocolat. Such awesome films! The 50s are probably my favorite decade after the 80s. I LOVE IT even with McCarthyism and the Korean War and all that crap. Clue is an amazingly underrated movie. I quote it almost daily. Some incredibly stylish and classy stuff came from the 50s (and I don’t mean poodle skirts, lol). Clue is THE BEST. It’s in my top 5 favorite movies. I love Roman Holiday! Have you seen “Brooklyn?” It’s set in the 50s also and one of my favourites. I haven’t seen that! I’ll check it out and add it to my list! Thank you! !